Summer has descended upon the Southern hemisphere! To celebrate, I decided to add bright prints to my primarily monochrome wardrobe. I bought these on the same day as my new carry-all tote bag and as you may remember from that post, I was going to show you the rest of my Zara haul. 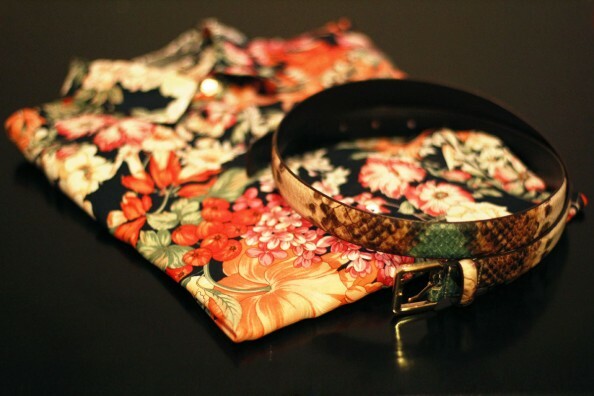 Well, here it is – snake print belt and a silk floral print blouse. Again, these two are real multitaskers: pair with a suit or jeans; pastels or bright colors. They will also make a smooth transition from summer into a winter wear. Hope lovelies, you’re all having a great day regardless the weather! Oh you’re an Aussie! I didn’t even realise. Loving the snake print at the moment and can’t wait to see a pic with the blouse. P.S. Thanks for letting me know about my bloglovin link not working. Yep, I enjoyed the novel. And I adore the print of your blouse.